Jim McGraw is a Corporate Partner at Keating Muething & Klekamp. In addition, he is the President and Chief Executive Officer of KMK Consulting Company, LLC. His background is centered in business development, public utilities, insurance and healthcare organizations. His clients include national and international firms in the areas of real estate, financial services, energy, manufacturing and technology. He has been actively involved in business and related client consulting for 38 years. Jim focuses on business formation and transactions, acquisitions and divestitures, along with a variety of related strategic work for clients which include corporate growth strategies, organizational design, leadership development, capital formation, public/private partnerships, performance benchmarking, transportation infrastructure development, strategic planning and implementation of programs to attract, retain and develop business. 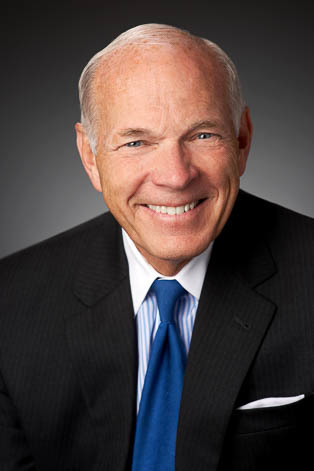 Jim has interacted with more than 3,000 CEOs and senior government executives in the course of his work. Jim is also a nationally recognized consultant in the area of economic development. He has represented corporations on a regional and national basis in the area of site selection and incentives structuring and negotiations with respect to the expansion and relocation of their facilities and workforce. Jim has worked in more than 120 cities and regions across the United States, helping community and business leaders design and build some of the country's leading economic development projects and organizations. He has been instrumental in the growth of these initiatives in such markets as Baltimore, Baton Rouge, Buffalo, Charlotte, Cincinnati, Ft. Lauderdale, Ft. Worth, Honolulu, Irvine (CA), Jacksonville, Kansas City, Los Angeles, Memphis, Naples (FL), Omaha, Orlando, Phoenix, Rochester (NY), San Diego, San Francisco, Scottsdale, St. Louis, Tampa, Tucson and Washington, D.C. Previously, Jim was Regulatory Trial Counsel for the Cincinnati Gas & Electric Co. (Duke Energy), and served four years on active duty as Chief of Civil Law with the Air Force J.A.G. at Wright Patterson Air Force Base. Regional Business Alliance of Southwest Florida, Inc.